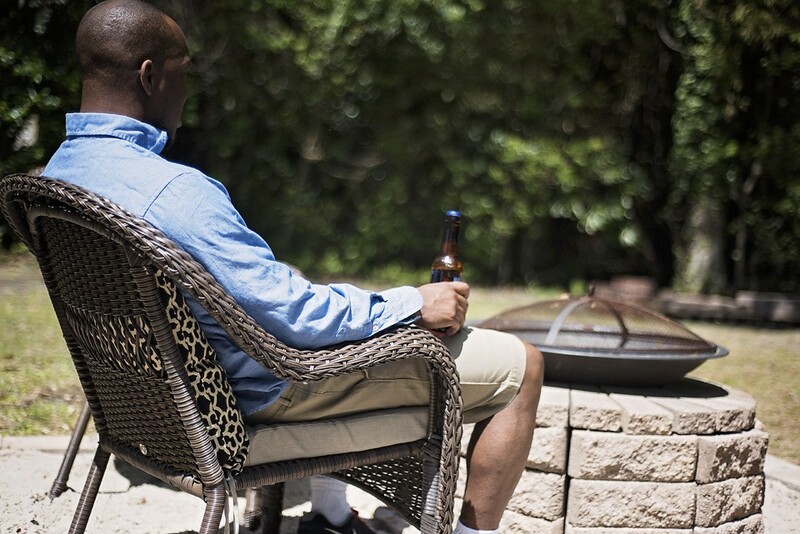 Adding a paver patio to your backyard can make outdoor entertaining a breeze. 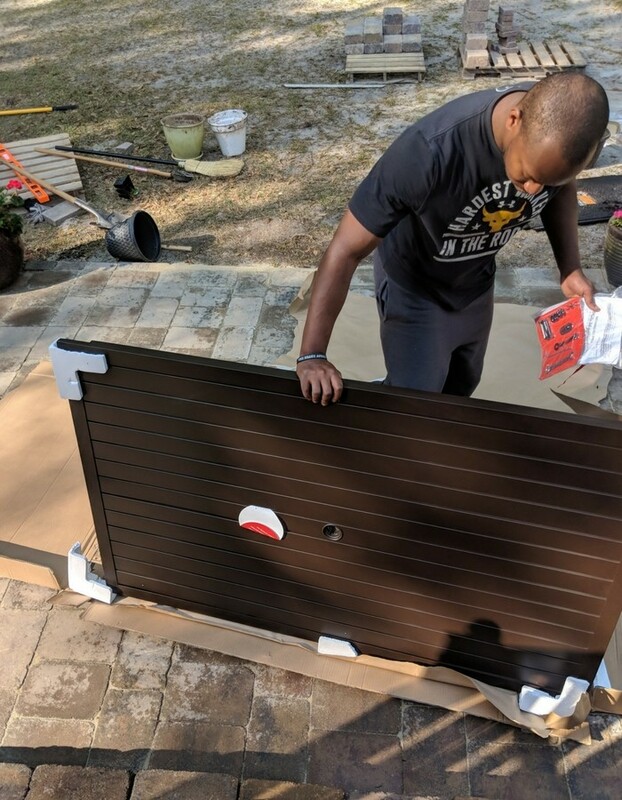 Follow along as Michiel Perry of Black Southern Belle creates a hardscaped patio area perfect for entertaining family and friends. Outdoor entertaining is a must in the South and despite having the perfect backyard to host, it needed a true entertaining space. 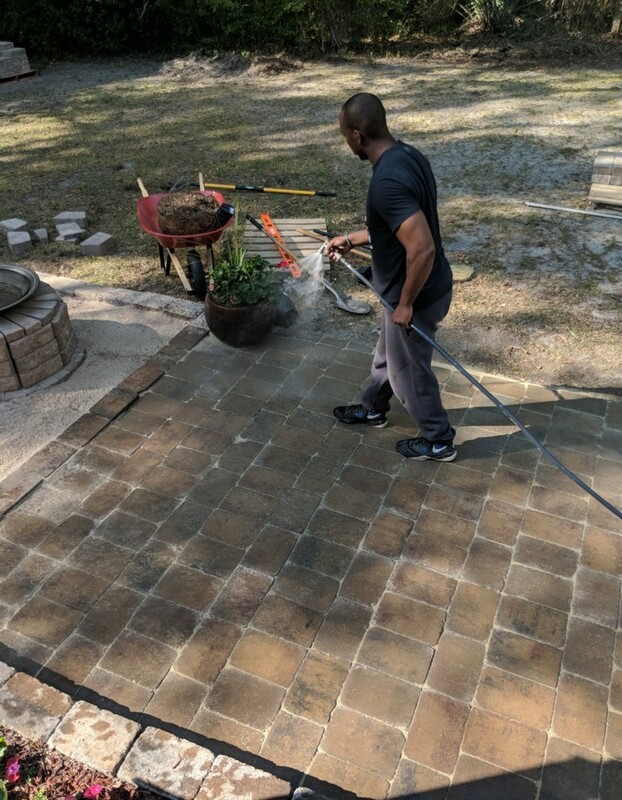 Thanks to Pavestone and Home Depot, I was able to create the perfect paver patio southern outdoor Oasis. While me and my husband await our new baby boy we have created the perfect space for our growing family to enjoy the outdoors with ease. 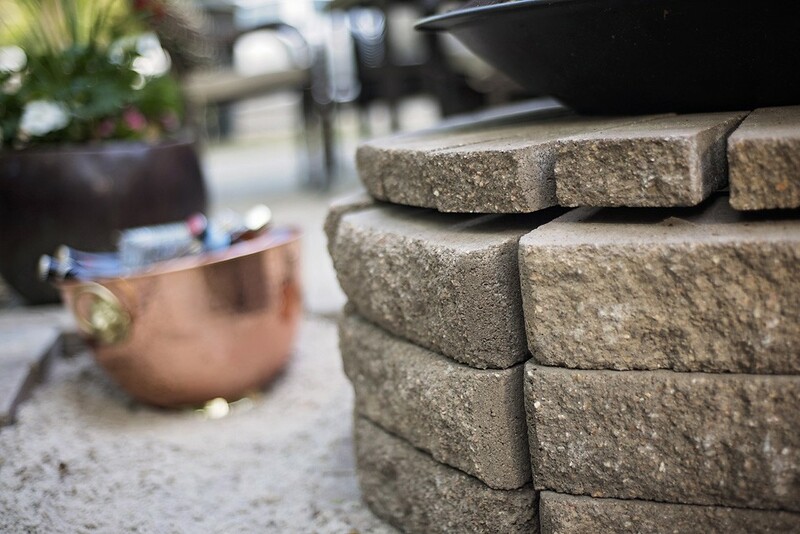 If you are looking to create the perfect family gathering space in your backyard, a paver patio is a great weekend DIY project to try. 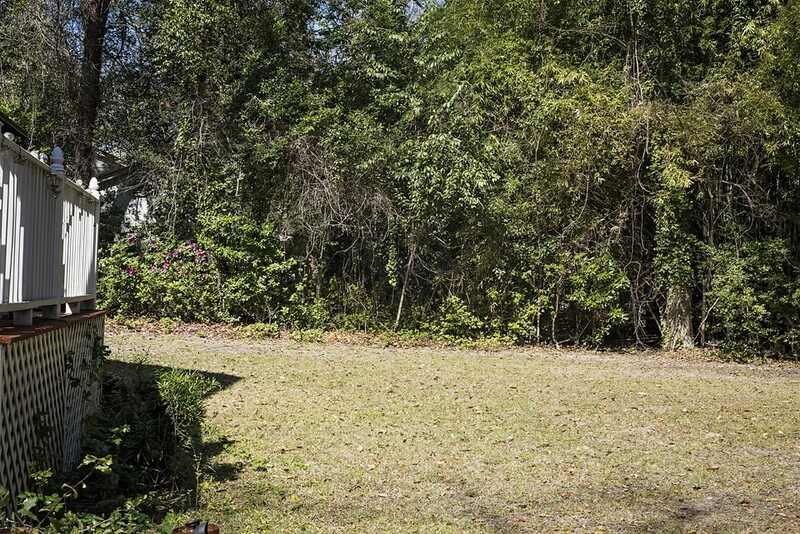 To get inspired, check out the behind the scenes and details on our southern outdoor oasis below. We had very little space to host a large group in a cohesive way. Between a small deck that barely fit our grill and a very bare backyard, we had a ways to go before we were ready to host friends in the backyard. Thanks to my husband and mom, we were able to make this patio happen through a long weekend DIY project. 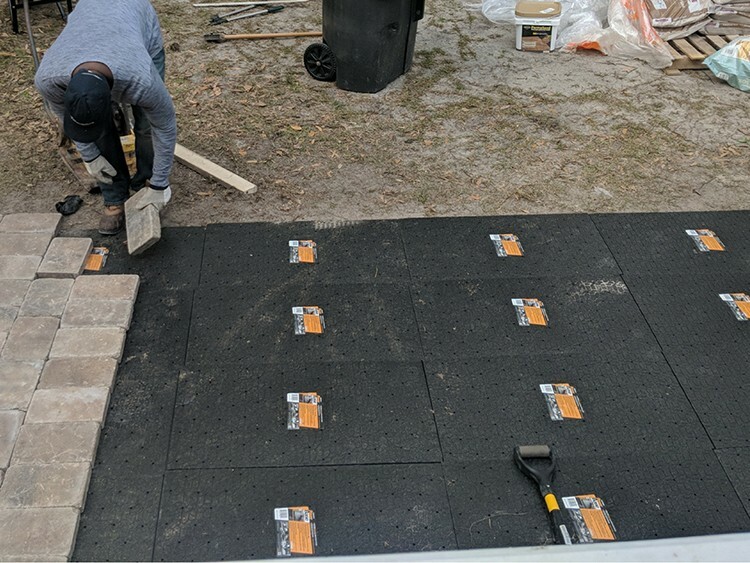 If you can splurge, I would highly suggest purchasing the Black Brock Paver Base Panel, they made the process seamless for my husband and they saved hours of time leveling sand over the weekend. 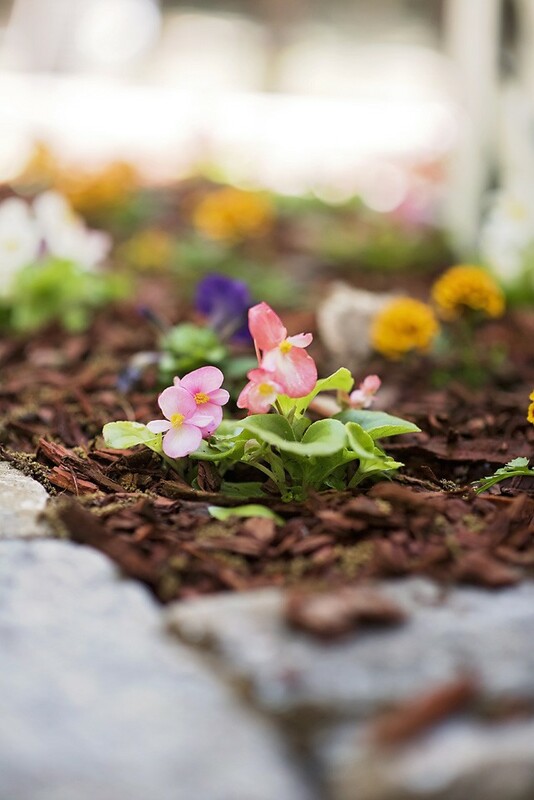 It was important for me to improve my green thumb and thanks to help from my mom and the Pavestone RumbleStone Rectangle Concrete Planter Kit in Sierra Blend, I have just that. The garden planters are a great way to incorporate a flower garden or a vegetable garden to your patio. What better way to entertain than with flowers and food from your own garden with them on display for your guests to see. We also wanted to have a place to host southern dinner parties. We used a combination of RumbleStone Rec 10.5 in. x 7 in. x 1.75 in. Sierra Blend Concrete Paver and Pavestone RumbleStone Rec 10.5 in. x 7 in. x 1.75 in. Yukon Concrete Paver to create visual interest without having to lay a complicated pattern or cut any pavers. With a few beautiful pieces from the Home Depot’s Mix and Match collection, I was able to create an inviting entertaining space on my patio oasis. I grew up with a sandbox my father built for me and I knew I wanted my son to have the same experience. Thanks to his dad, he will be able to get just that. We were able to use leftover pieces from the patio to create a perfect play area. When the weather gets a little chilly this fall and winter, I can’t wait to start using our Pavestone 40 in. W x 16 in. 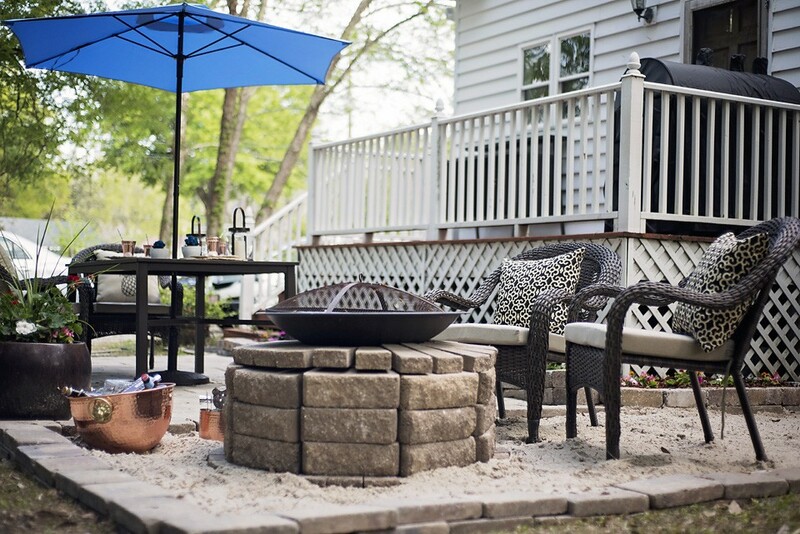 H Rockwall Round Fire Pit Kit – Pecan.If you can’t wait for the fall, the fire pit is the perfect way to add romantic lighting and keep bugs away for your patio soiree with a sweet tea or a lemonade in hand. As we await our bundle of joy to arrive, we plan to be ready for lots of oyster roasts and marshmallow sandwiches this fall. This fire pit will be the focal point of many family memories and we wouldn’t have it any other way. 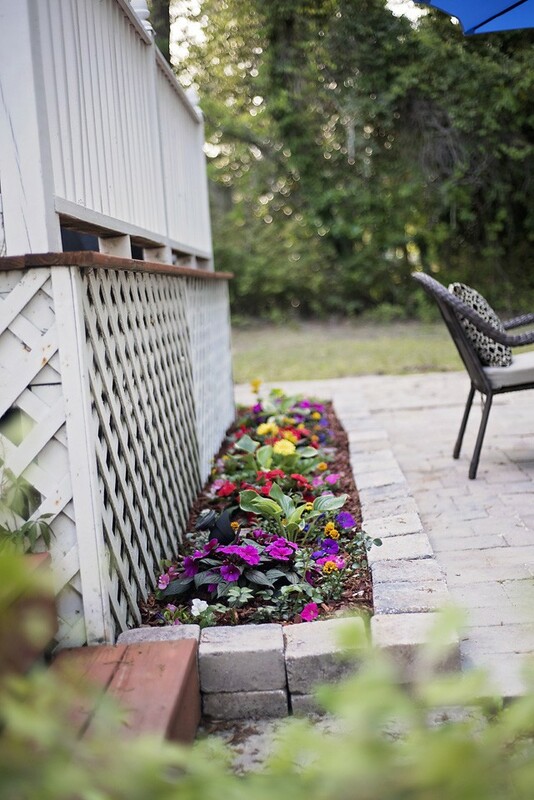 Creating a paver patio can be easy with the help of the Home Depot. 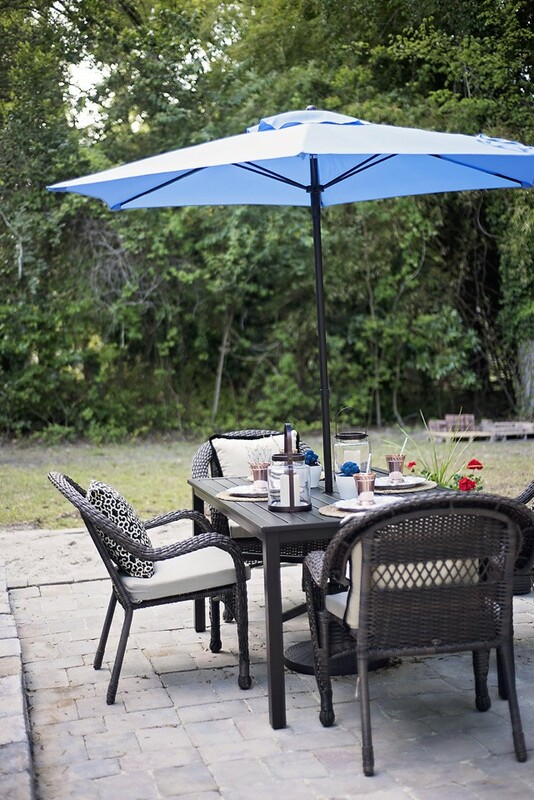 Find everything you need to craft the perfect outdoor entertaining space at the Home Depot. 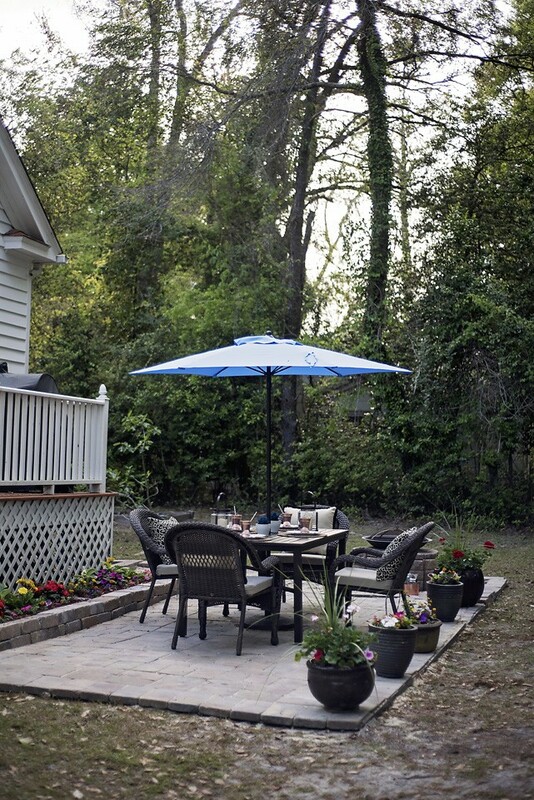 The post Patio Living in a Southern Outdoor Oasis appeared first on The Home Depot Blog. This is a great blog post article! I learned more from this post then many others out on the internet. Keep up the GREAT work! !